As the dust settles from the opening events of the 2018 racing calendar, young Queenslander Brayden Mifsud #6626 will get his season underway at this weekend’s Caboolture 100. After a highly successful 2017 where Rightfoot Racing received first in the SXS Sport class for the CAMS Queensland Off Road Championship and Queensland Short Course Championship, Mifsud and crew will attack the first half of the season with an eye firmly placed on a Tatts Finke Desert Race assault in June. Still on a high from collecting their awards at the Queensland Off Road award presentation evening held last month, this weekend the Mackay based Rightfoot Racing team will make their way south to the Sunshine Coast for round 2 of the Queensland Short Course Series. After the recent washout and postponement of Federal and the postponement of the Lockyer Enduro, Mifsud is raring to go, with the team banking on the changes made during the offseason to hold them in good stead. An engine overhaul subsequent to its failure in the team’s last outing in 2017, a stronger front end installed, as well as better air filtration and clutch blowers, Mifsud is confident of once again holding his own across the four series they plan to contest. 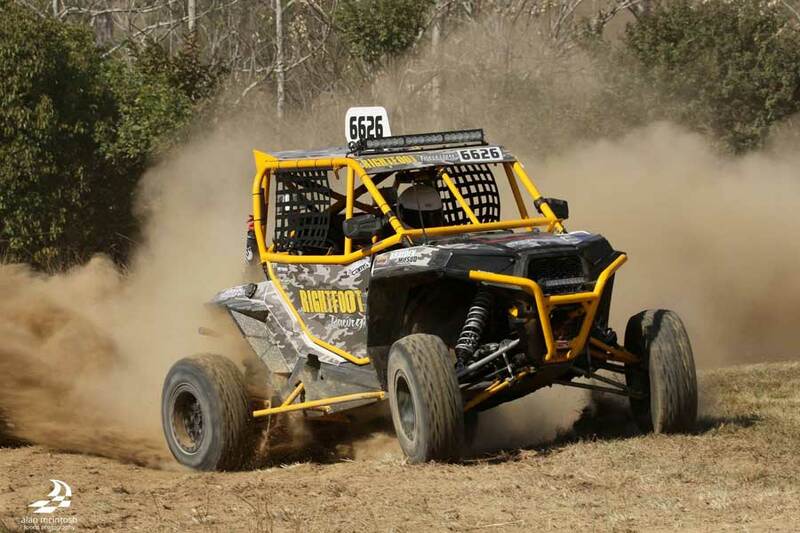 Kick starting their 2018 Queensland Short Course series crusade in Calboolture, Rightfoot Racing are also set to battle for the Queensland Off Road Championship, North Quensland Super series and the Queensland Junior Championship, with an adventure to Finke scheduled in for mid-year. In the wake of his success in 2017, Mifsud will be happy to be back on track, looking to continue his rapid rise up the standings behind the wheel of his Polaris. With limited testing in the off season, this weekend’s frantic short course action will be great preparation for a massive 2018, with a total of 14 races to be run if all goes to plan! As the Mifsud and crew ready themselves to tackle the New Year head on, they are delighted to announce ‘Full Tilt Transport as a local sponsor, generously providing a set of tyres for the upcoming season. Stay tuned for more news from Rightfoot Racing, see you at Caboolture.